There are a number of red wines grown in different regions across the world and each one has its specific characteristics. Before we delve into what these different types of wines are; let’s understand why red wines are red. The colour comes from the assortment of grape varietals ranging from ones that are deep purple, or bluish to reddish in colour. The wine made from these grapes is classified with different descriptions such as maroon, deep violet, opaque purple, ruby red, light red, dark red as well as black etc. The grape skins are responsible for the distinctive colour spectrum of red wines. These skins are always in contact with the juice during the course of the fermentation processes, allowing the tannins and colour to get dispersed into the wine. An individual wine’s specific red colour depends entirely on the type/s of grapes used in its production and the duration of time the grape skin’s pigmentation is in contact with these juices. 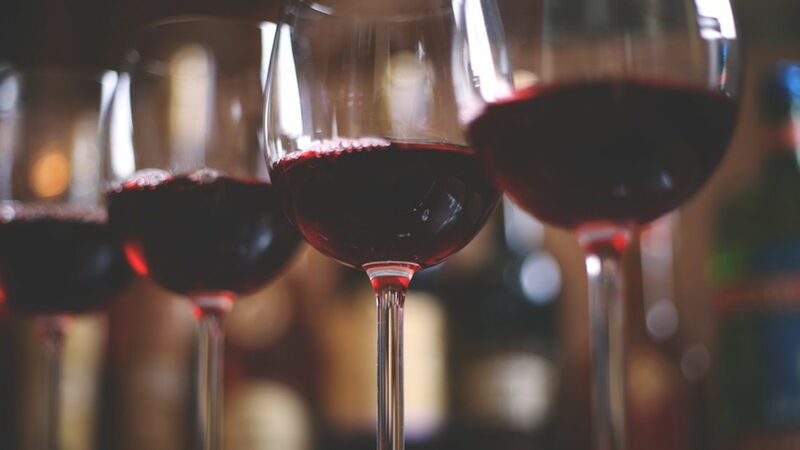 There are about 50 different key red wine varietals used in wineries across the world and they are distinctive to each region and wine variety. Check out the different types of red wines and where they are grown. For instance, you may say that a certain wine is light-bodied; this has fewer tannins and its presence on the palate is less as well. These wines pair well with flavourful foods and don’t overpower the latter. A light-bodied red wine can be derived from the varietal known as Gamay grape; Beaujolais Nouveau, the famous red wine produced in France is one example of this. A medium-bodied red wine generally contains more tannins compared to the Beaujolais Nouveau. However, it won’t have the acidic touch that high powered wines like the Italian Super Tuscan or California Cabernet Sauvignon have. Some typical examples of medium-bodied red wines are Chianti, Shiraz and Merlot. All full-bodied red wines have the highest alcohol content and tannin levels. Some notable full-bodied reds are the premium French Bordeaux wines; Super Tuscans (Italy), and California’s key Cabs are other examples of full-bodied red wines. Typically, a light-bodied wine tends to “feel” almost like water in the mouth. Contrastingly, a “full-bodied” wine feels heavier, and has a milk-like consistency; this effect is largely due to its higher alcohol and tannin content. “Bordeaux” are red wines from France that are made primarily from three different varietals: Cabernet Franc, Cabernet Sauvignon, and Merlot grapes. If you are ordering an Italian wine, it’s common to hear of Chainti wines made from the famous Sangiovese grape varietal. The Barbaresco or Barolo wines from Piedmont are both produced from the Nebbiolo grape varietal. Malbec is the famed red wine grape from Argentina and is finding its foothold in the world of red wines. As you can see, there are a large number of red wines and the areas they are grown in have a lot to do with their name, flavouring, texture, tannin content etc. For any more information about red wines or custom wine cellar design and installation, you can call Signature Cellars on 02 9340 7515 or use this contact form to get in touch with us. We’ll be pleased to assist you and provide custom solutions that match your requirements.